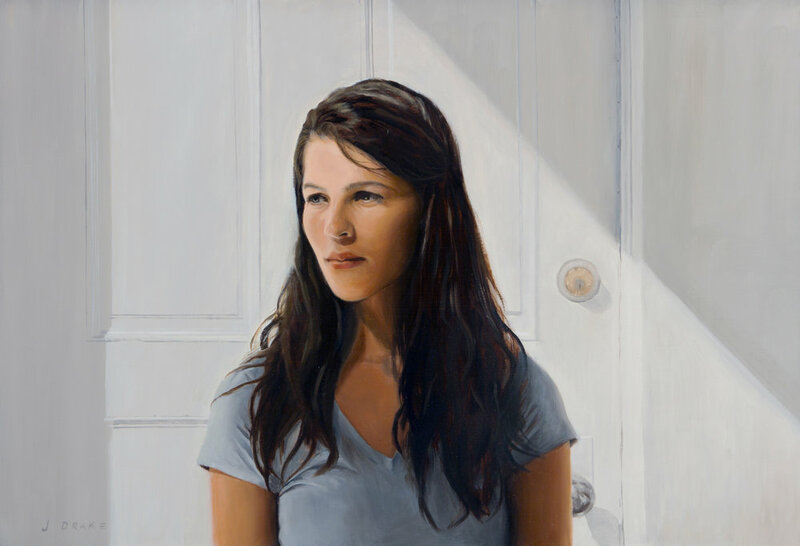 In the modern era of such diverse artistic styles, a realist painter is always encouraged to find a gallery that features representational art and wants to sell the work of artists who are committed to that genre. I am honored to be included in South Street Art Gallery in Easton, MD and to be presented as the Featured Artist this month. 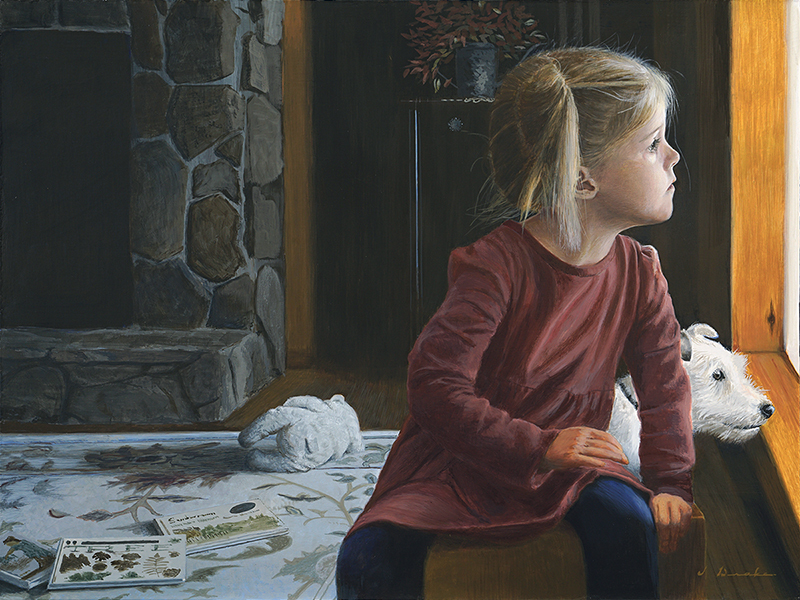 The pieces that are presented represent the breadth of my work in figurative, still life, and landscape art. My latest piece, Reluctance - Barn Owl, represents my focus on wildlife, a fascination I have developed while living in the Blue Ridge Mountains. While the interaction of man with creatures in nature is a timeless and universal theme we most often have experienced it on a farm. Farm life is not only a place of unending work, but of encounters with the beautiful and the mysterious. This painting attempts to combine those by capturing a fleeting moment when the magnificent alights on the mundane. For more information, or to inquire about the purchase of these painting, please contact Alan Brock at South Street Art Gallery (info@southstreetartgallery.com) or visit their website. 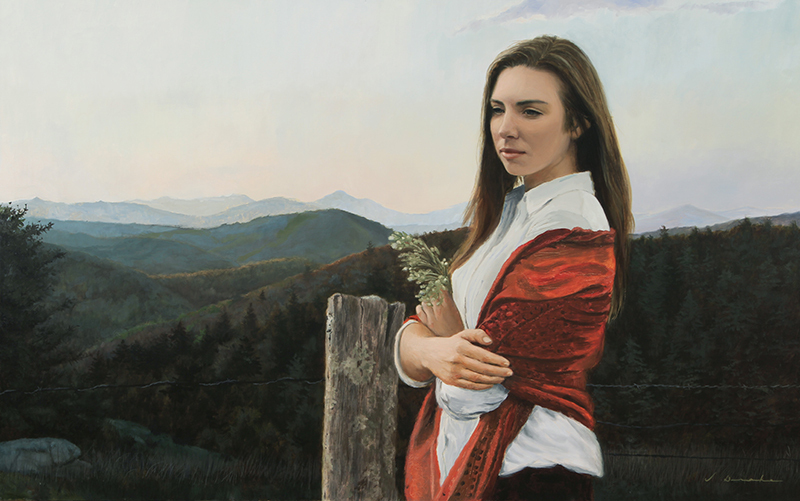 Reluctance - Barn Owl - oil on panel, 30 x 20"
Mountain Girl - oil on linen, 30 x 48"
Golden Pastures - oil on linen, 24 x 36"
Rainy Days - egg tempera on panel, 18 x 24"
Maggie - oil on panel, 20 x 30"